Board of Secondary Education, Odisha's Odisha Secondary School Teacher Eligibility Test is a Eligibility test similar to OTET & CTET. 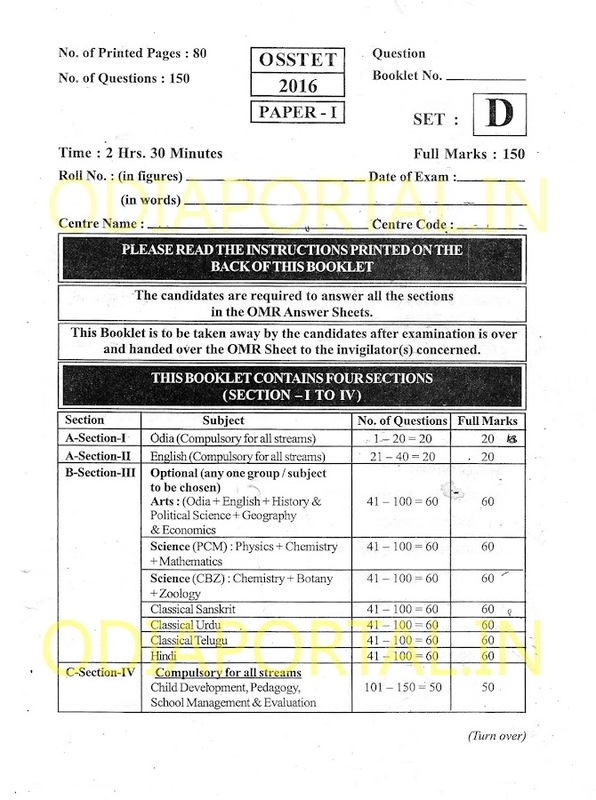 OSSTET qualified candidates are eligible for Secondary School Teacher Posts in the state of Odisha. The very first OSSTET Exam Was Held On 17th Dec 2016. 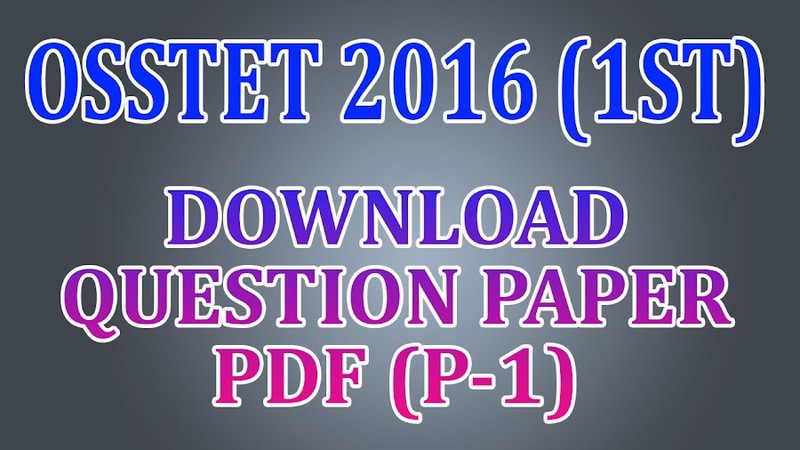 The following is the Paper-1 question paper PDF files for candidates who are practicing for upcoming 2017 OSSTET Examination.